A successful home purchase or sale nearly always starts with a good agent or broker. Real estate is a complex and continually changing business, and Wakefield agents and brokers are trained and educated in its many rules, regulations and standards. They have the inside scoop on different Wakefield, MA neighborhoods and areas and know what constitutes a fair price in the market. Hiring a pro in Wakefield, MA also means you won’t have to deal directly with the prospective buyers or sellers, which may save you some tension. 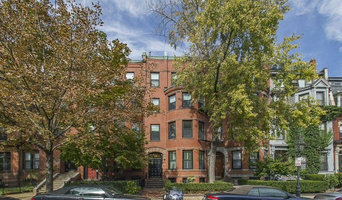 A Boston area native, a Metro-West resident for several years, and current North Shore homeowner. Luciano is well versed on the real estate scene in Peabody, its surrounding communities, and beyond! Luciano is here to help for all the things that move you, offering premier client representation and market expertise to both buyers and sellers. Luciano holds a Bachelor of Science Degree in Business Administration, with a Marketing concentration, from Framingham State University. Having held project management and leadership roles throughout his career in small, local, non-profit organizations as well as Fortune 500 companies in the area, Luciano brings 10+ years of experience in direct and online marketing and sales to RE/MAX. Luciano uses a consultative approach to ensure premier customer service and successful marketing strategies are provided to both buyers and sellers. Nobody in the world sells more real estate than RE/MAX, and nobody sells more real estate in Peabody and surrounding areas than the Horowitz Team. Licensed Real Estate agent with 23 years of experience, specializing in Residential & Commercial Sales & Leasing. My years of experience includes working with both Buyers & Sellers. I am energetic & results oriented. Shari and Steven McStay of Keller Williams Realty are top producing agents on the North Shore of Boston. They are both listing and buyer agents and maintain a high level of service and professionalism in the real estate industry. The McStay Team's energy, keen negotiating skills and accessibility provide their clients with highest level of service. Real Estate Professional bringing buyers and sellers together as they are either purchasing their dream home or selling one of their most valued assets! Born and raised in Boston, no one knows the neighborhood like I do! Please call for all your real estate needs and for the Best real realtor experience in Greater Boston! Paul Campano brings almost 10 years of experience to the real estate industry. 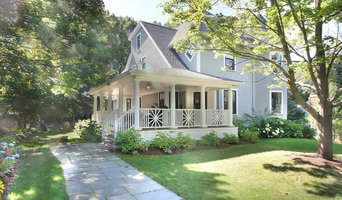 He has marketed a number of unique properties, including two Firehouses, two Churches, a mansion, a 'This Old House', and contemporaries featured on the cover of DWELL magazine. Campano studied at Suffolk University as an Archer Fellow and after completing various consulting engagements, including one for William B. 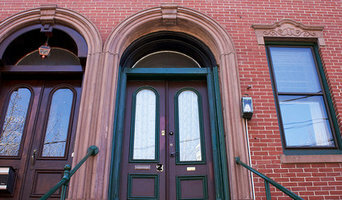 May real estate in New York City, Paul focused solely on marketing residential property in 2003. Paul has been featured in numerous articles and news programs, including the National Association of Realtors magazine, the Boston Globe, Luxury Home Quarterly, Design New England, Bankrate.com and 'Chronicle,' Boston's television news magazine. 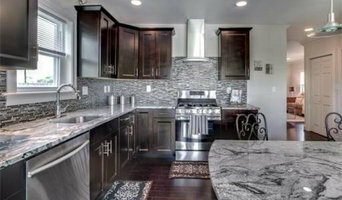 I am a Realtor and I have worked in the residential home construction and interior design field for 30 years. I offer staging and decluttering advice to all my clients before listing their homes, so it can make a great first impression and sell quickly. Buyers can utilize my experience in remodeling to help guide them on making a home purchase that will increase in value over time. Kristin began her real estate career over 30 years ago. In 2009 Kristin reinstated her real estate license. She continued her education in the industry to achieve her GRI designation from the Massachusetts Association of Realtors and her ABR designation by the Real Estate Buyer’s Agent Council of the National Association of Realtors. She is also recognized by the Eastern Massachusetts Real Estate Academy as having earned the certificate of Certified Agent Training Skills. Most recently attending the Keller Williams Ignite Agent Training. Her future goal is to earn her New Hampshire Real Estate license. Kristin’s inspiration is her love of helping others. Helping her Buyers find their perfect home. And helping her Sellers move forward to their next perfect home is how Kristin begins and ends each day on a high note. Kristin believes on building lasting relationships based on respect and trust. Her Clients appreciate her candor and guidance through the process. And they are confident in her negotiating skills. North Shore resident for 18 years, local real estate expert for all facets of buying, selling and investments. I work with local professional contractors, builders, home stagers and photographers. Proven successful results available. Amy Mizner, Benoit Mizner Simon & Co.
WESTON’S #1 REAL ESTATE TEAM & THE ONLY TEAM TO REACH OVER $1 BILLION IN SALES OVER THE PAST TWO DECADES. Amy Mizner is a top producing luxury real estate broker whose vision and ingenuity keep her on the leading edge of the affluent residential real estate market. Amy advocates for stellar marketing, technology and strategic management concepts and integrates these services into all of her client endeavors. Her background, producing award-winning television commercials for Arnold Advertising in Boston, serves as a creative foundation for staying ahead of the curve. She expertly navigates home buyers and home sellers through the rigors of the real estate process and has an impeccable reputation for proven results. She serves the MetroWest neighborhoods of Weston, Wellesley, Wayland, Dover, Lincoln, Sudbury and Needham, Massachusetts among others. Amy Mizner is a Founding Principal and Broker of Weston's #1 Real Estate Team and the only team to reach over $1 Billion in sales over the past two decades. Awards include the 2017 Wall Street Journal, "THE THOUSAND" by Real Trends, recognizing Amy Mizner as one of the top 250 real estate teams nationwide; Banker & Tradesman, "WOMEN OF FIRE" Award, an achievement given to the top 20 women leaders in finance, insurance, and real estate in Massachusetts as well as the 100 Women Led Business Award. Amy has been a featured speaker at Bentley University's Entrepreneurial Thinking Summit, and her real estate expertise is often sought out by news sources such as CNBC, Fox25, Boston Business Journal, Banker & Tradesman, Wellesley Weston Magazine and The Boston Globe. Charitable and non-profit involvement includes Horizons for Homeless Children, and the CJP of Greater Boston. Amy lives in Weston with her husband, Mark Mizner, who has a prominent Boston dental practice, and has two daughters, Dylan and Jillian. Negotiating with the utmost in professionalism for my clients' primary, vacation and investment properties, I understand the complete picture when it comes to helping you purchase or sell real estate. My enthusiasm for my community, goal oriented focus on bringing people together, exceptional analysis and reasoning skills and genuine interest in my clients' have led to my well qualified success in real estate.